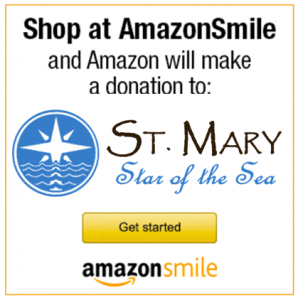 St. Mary, Star of the Sea Catholic Parish Amazon Smile – A New Way to Support St. Mary’s! Home / Parish News / Amazon Smile – A New Way to Support St. Mary’s! Amazon Smile – A New Way to Support St. Mary’s!